Well done to all those involved in the Eurovision themed Talent Show! Thanks to TYs for organising the event. We had a packed house for the show and an abundance of talent on display. We could not have asked for a more supportive audience for our contestants as everybody was encouraged to work through their nerves. We even had an old school sing-song! We very much appreciate all the effort made by students and staff to make it a special afternoon. 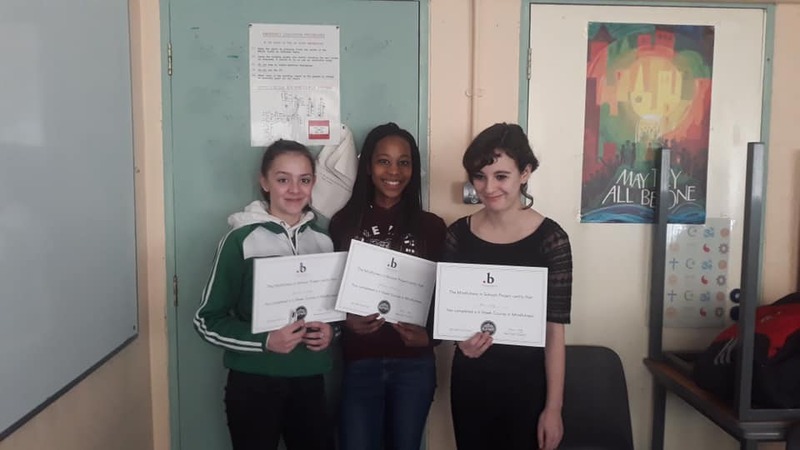 A huge congratulations to all the TY students who gained European Ambassador status for St. Patrick’s Comprehensive School. The junior ambassadors were chosen for their hard work and dedication. 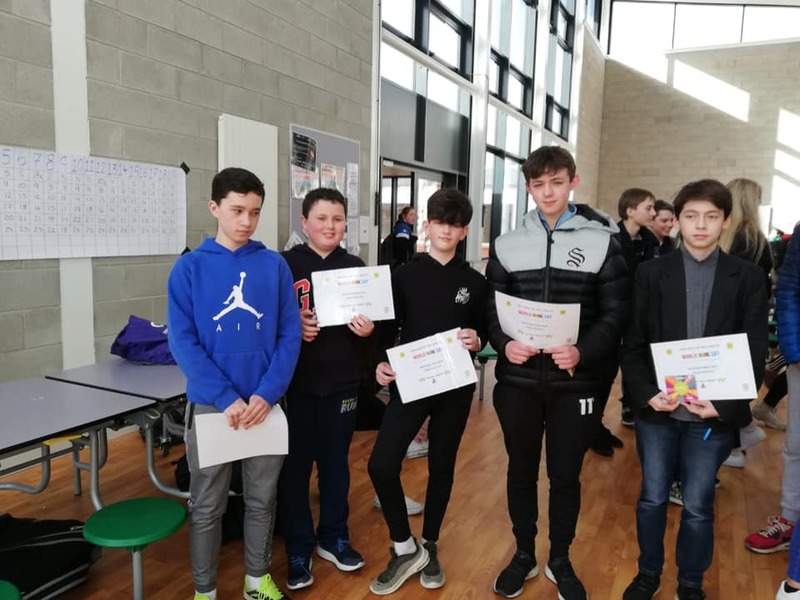 They attended an award ceremony on Friday at Brú Ború Cultural Centre in Cashel to recieve their certificates and a plaque for the school. Well done to all students and staff involved! ​We are looking forward to beginning a new approach to students joining us here at The Comp. Next Tuesday and Wednesday we will have our first Induction Days. 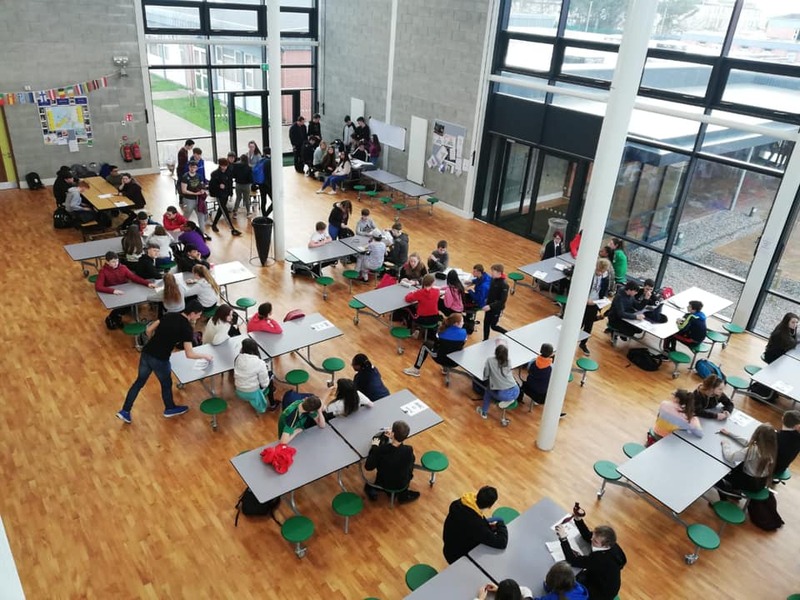 We will be welcoming all 6th class students who applied to attend our school in the 2019/2020 school year. 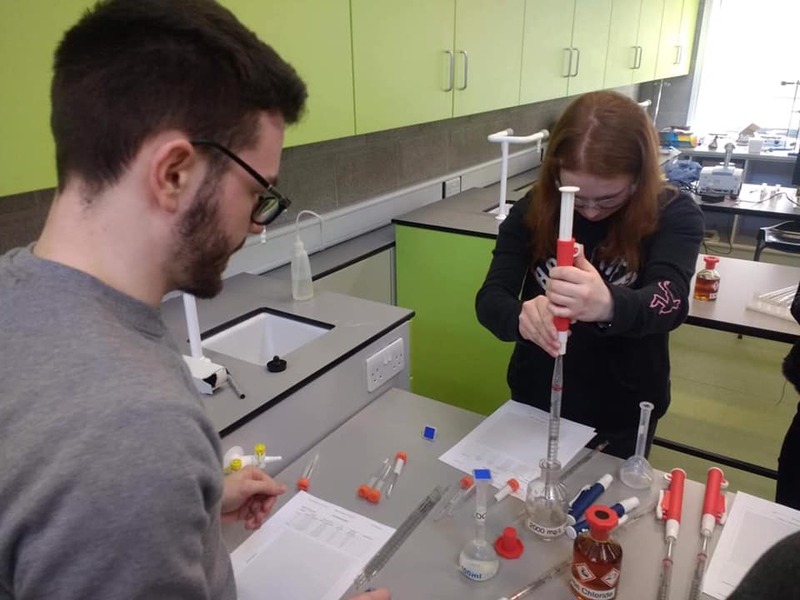 This will allow everybody to become familiar with the layout of the building and our facilities, try our option subjects, see how our timetables work and get to know their teachers and student mentors. We are aiming to make the transition to secondary school a comfortable one. With this in mind, changes have to be made to the timetable to facilitate this. In a follow up to letters issued this week, the details of these changes can be found here. We recommend people check out the film below. It will be screened in Glór on April 10th. Our Senior Cycle Information Evening will take place on Thursday the 4th of April. This will follow The Comp Careers Fair on Wednesday the 3rd of April. We urge our students to attend both of these evenings to take full advantage of all the information available. We hope that by providing these events we will help our students made an informed decision on their subject choice at senior cycle. “We want our students to explore their futures”. 48 Senior Cycle students attended the Ireland Skills Live Apprenticeship showcase in the RDS. 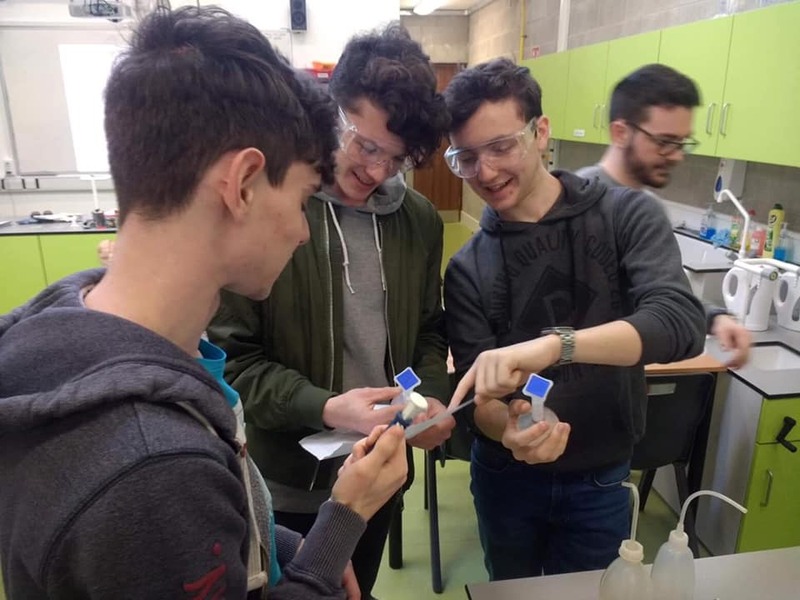 This experience gave students the opportunity to meet and chat with employers, view apprentices at work and try a skill, even their teachers got to hone their talents too. Many students were amazed at the employment opportunities available along with earning potential when following the apprenticeship route. 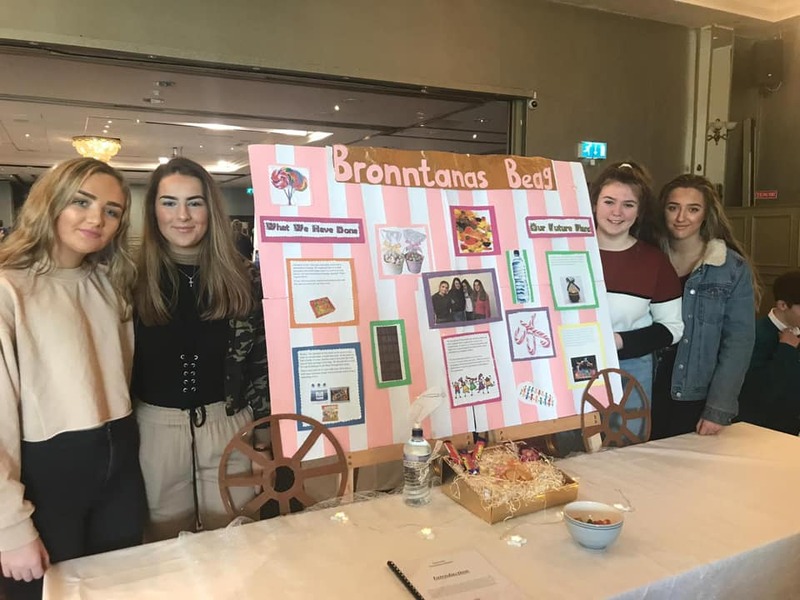 Although this was the inaugural year of this event both students and teachers are looking forward to making it an annual event. To say we are proud is an understatement! Our fantastic students and staff worked together to make a real stand for our voices to be heard in relation to climate change. Our human chain, led by our Student Council, wound its’ way through the school and we all gathered in the hall to show unity in this cause. Thank you to all who took part. In a moment of kismet, past pupil Gavin Higgins sent us a truly beautiful piece from his portfolio in his LCFE course. We feel it’s very apropos to our work today. Come to The Comp. We have Pi. 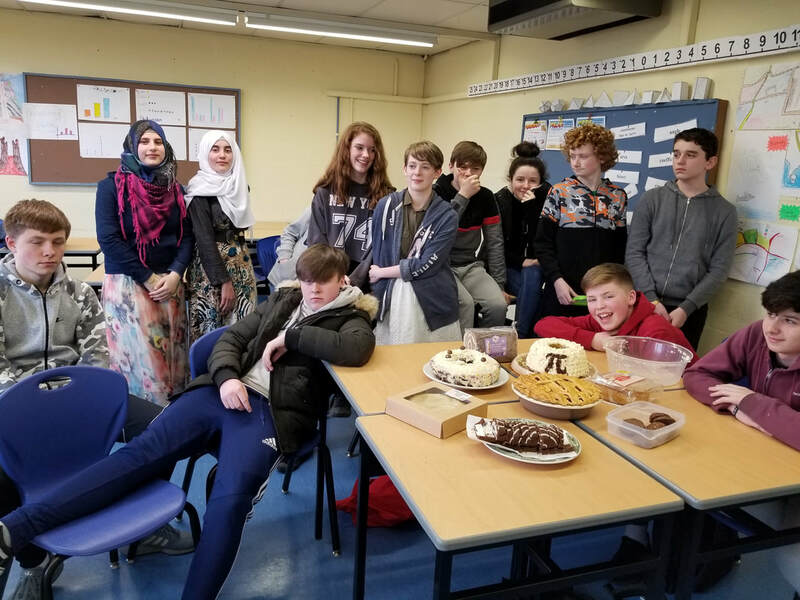 Today we celebrated international ‘Pi Day’ marking the mathematical constant on the 14th of March (3.14). They say promises are like a pie crust and are easily broken but that wasn’t the case with our wonderful students today. 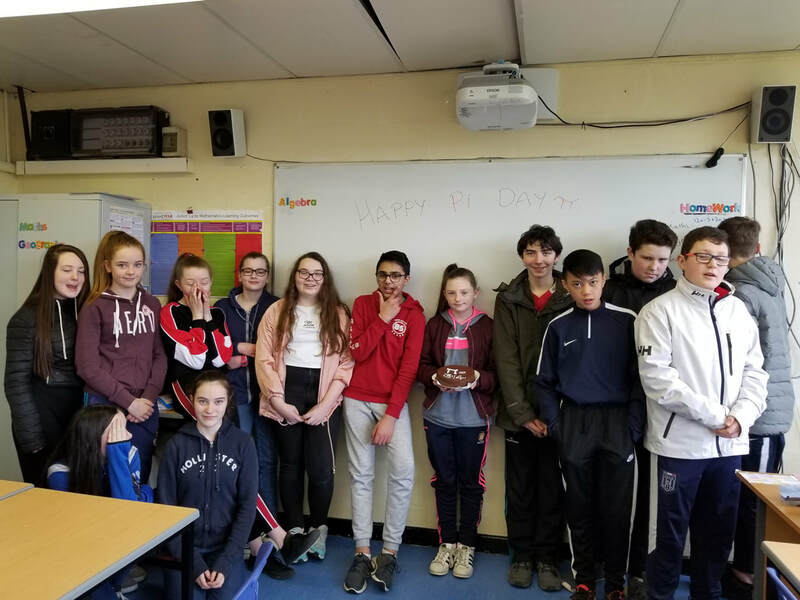 An extreme effort was made to celebrate ‘Pi Day’ by both students and staff. There were extra smiles in the classrooms and corridors today and a wonderful sharing of ideas and pies. 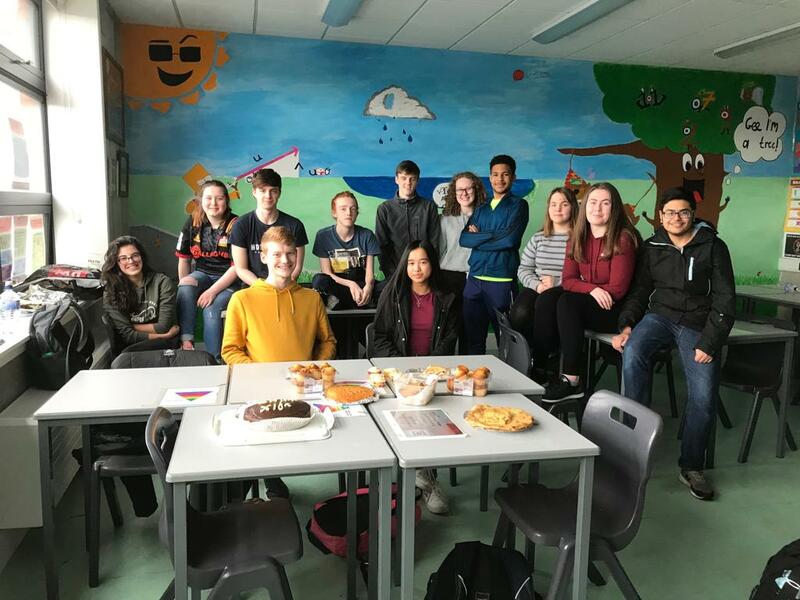 Thanks to all those who took part and a special mention to the wonderful students who made a video to celebrate ‘Pi Day’. 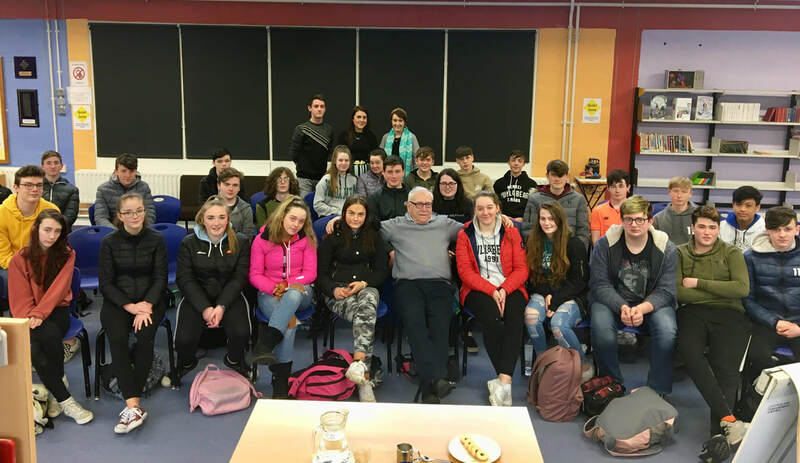 ​We were privileged to have guest speaker Charlie Morrison in the library speaking to third year history students from Ms. Graham & Ms. Flanagan classes on his life & times in Derry. 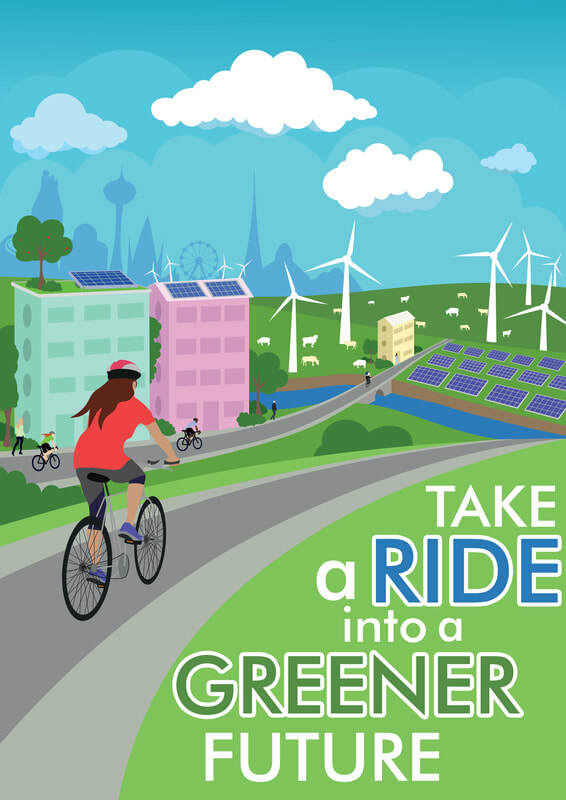 Have you heard of the March 15 Climate Strike? It highlights the lack of voice that young people have in relation to climate change. Here at The Comp we are putting our twist on it! Rather than walking out as individuals we are working together to create a silent human chain throughout our building to showcase how young people are being silenced. Ní neart go cur le chéile. We want to show our passion for this urgent issue. 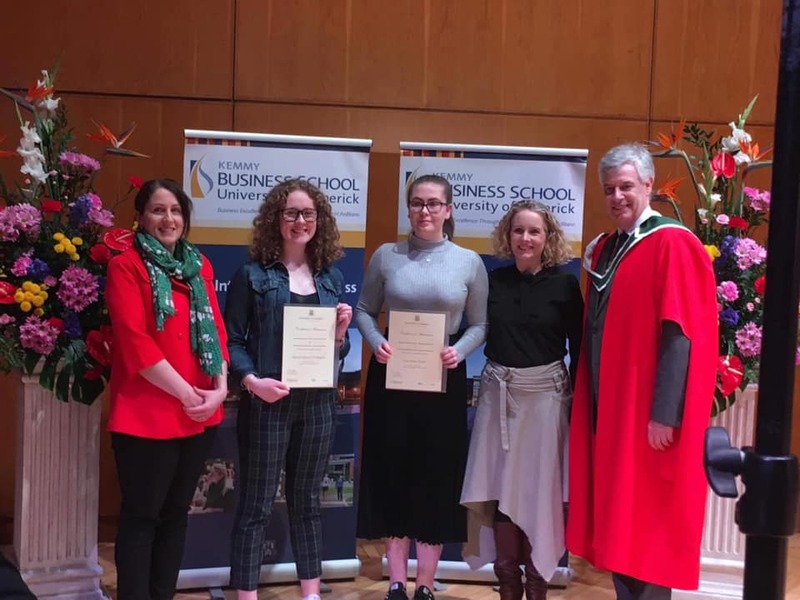 As our motto says...beart de réir ár mbriathar...deeds to match our words. 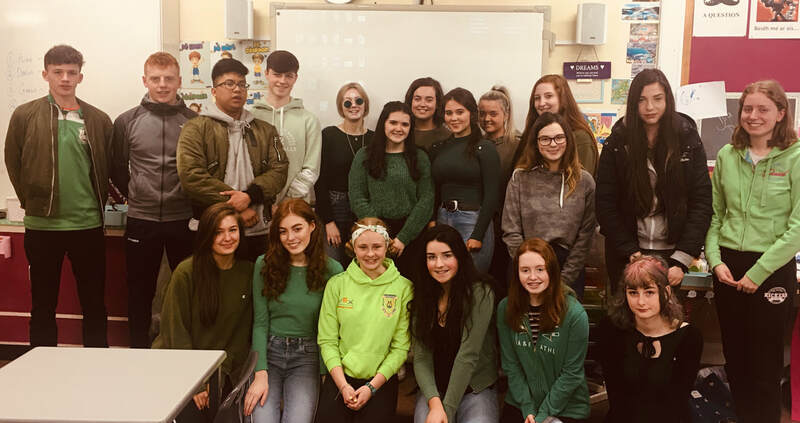 Support us by wearing green on Friday to coincide with our Lá Glas too. 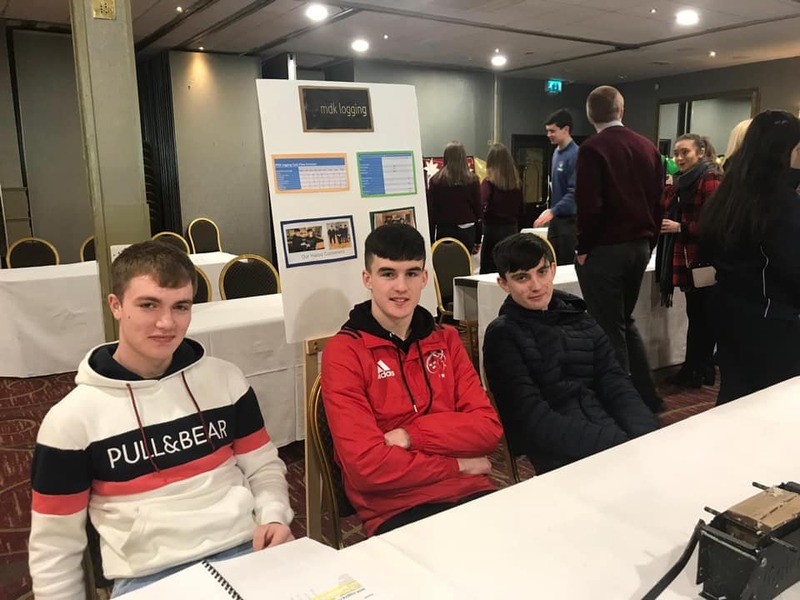 ​Our students participated in the applied maths regional quiz Thursday night and as usual did us proud. 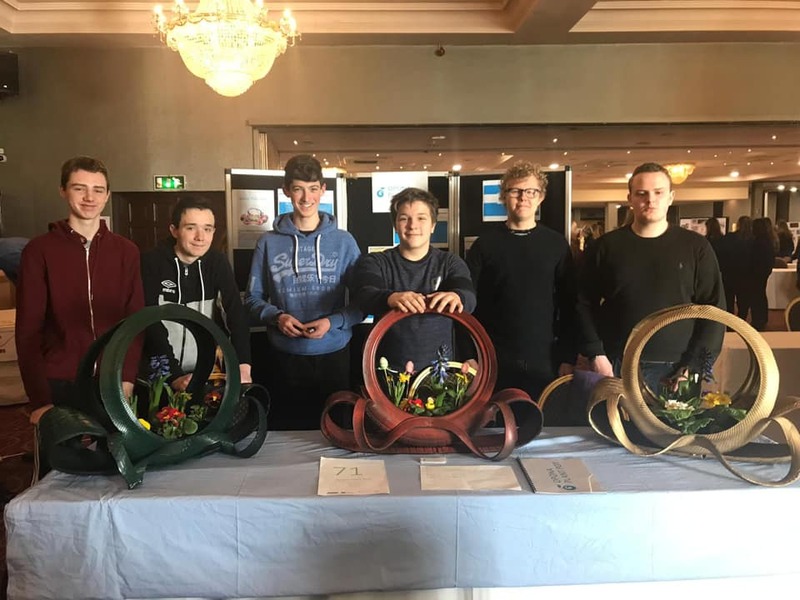 Congratulations to all those who took part and especially to Éanna Crimmins, Aedan McFall and Conor Skelton-Bundy who were pipped at the post and ended up in 4th position. We look forward to even more success in next years final. ​At the Comp, we love to bring back our past pupils. 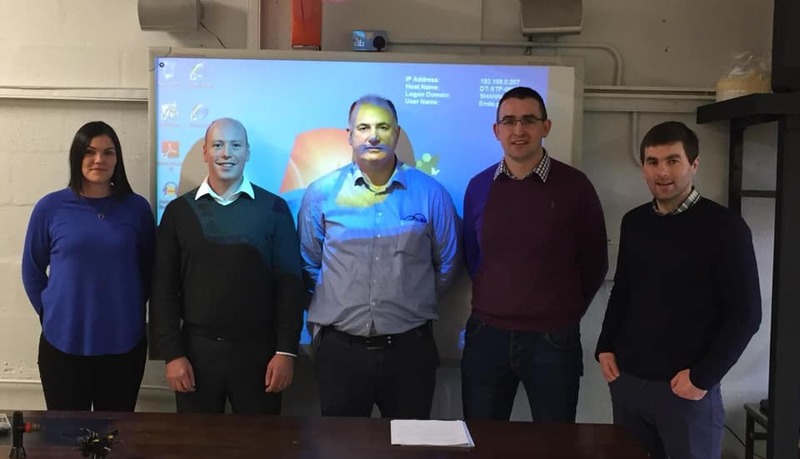 As part of Design & Engineering Week, Danny Quinn Drumgoole and Christy Carey who now work with Atlantic Aviation Group, today came to speak with Leaving Certs about their careers in aviation engineering. Both Danny & Christy excelled during their time in The Comp and are role models for anyone wishing to seek an apprenticeship in aviation. Don’t forget AAG apprenticeship closes on March 27th. ​Well done to the 5 teams of TY students who took part in the Clare Enterprise Awards today in the West County. Great creativity shown on their ideas. 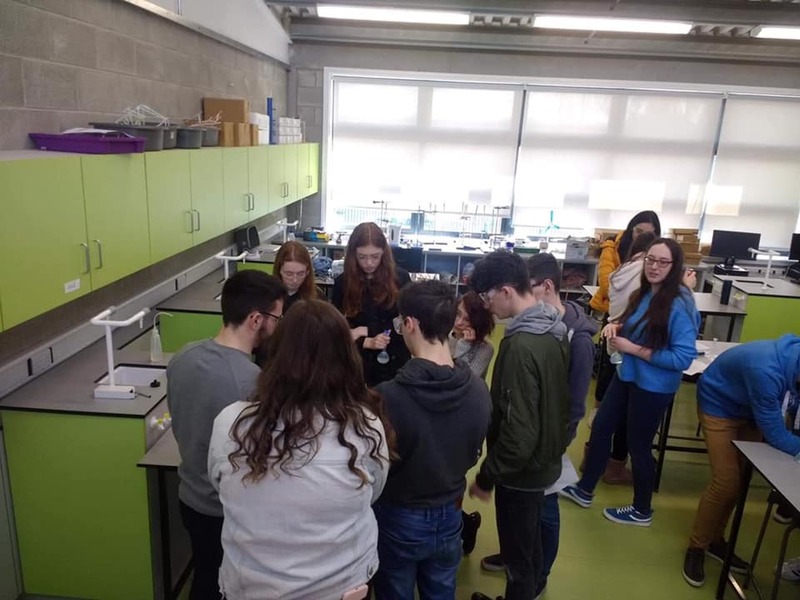 Leaving Cert Chemistry students enjoying a Spectroscopy Workshop with UCC PhD students today. 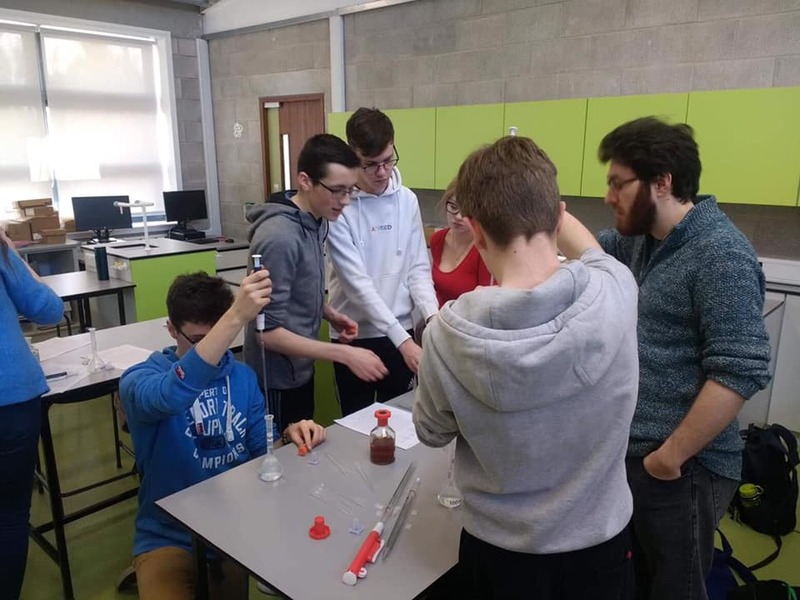 The students analysed samples from a "crime scene" utilising Ultra Violet and Infra Red Spectrometers while getting an insight to college courses in UCC. We welcomed two programme leaders from LIT as part of Design & Engineering Week. 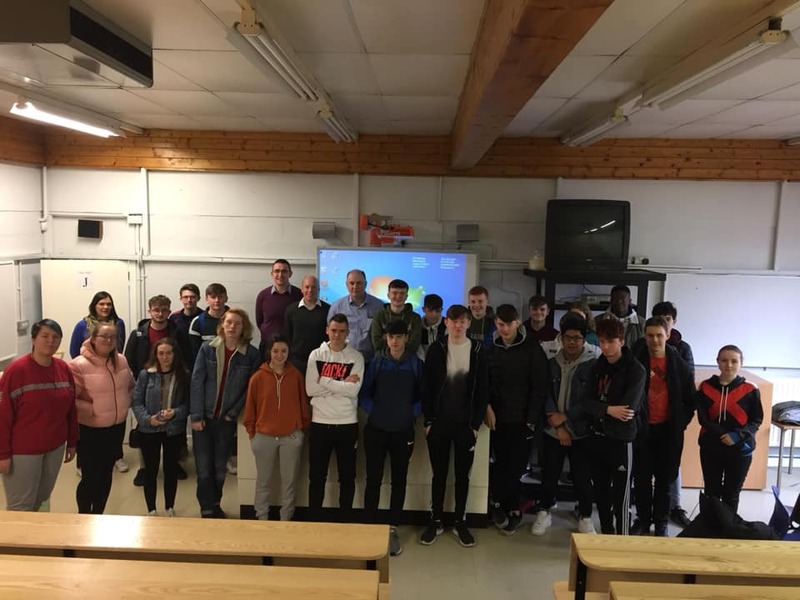 Thanks to David Honan, Built Environment and Ciarán O’Loughlin, Precision Engineering who spoke with senior cycle DCG, Construction Studies and Engineering students about the opportunities at LIT and the link between our practical subjects and programmes @ LIT. This was a very informative talk and opened many students eyes to possible careers. 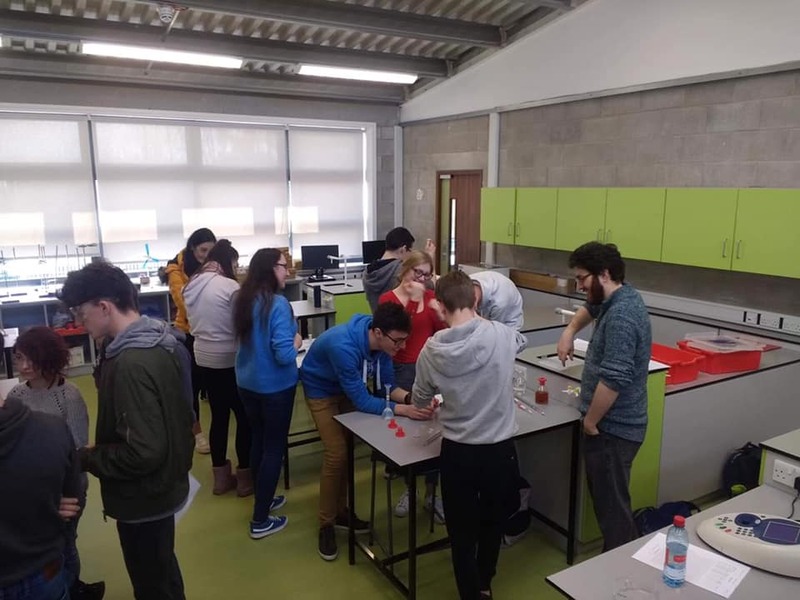 Both TY groups and LCA 1 students completed a Drug and Alcohol Awareness Program with Clare Youth Services. Here they are receiving their certs. Thanks to all at Clare Youth Services. 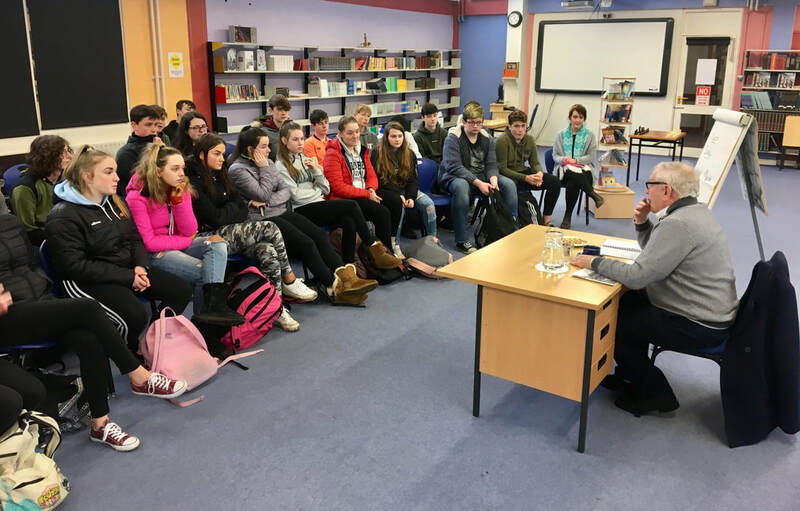 Some pictures from today’s stop to Glór to hear the poet Eiléan Ní Chuilleanáin discuss her poetry. 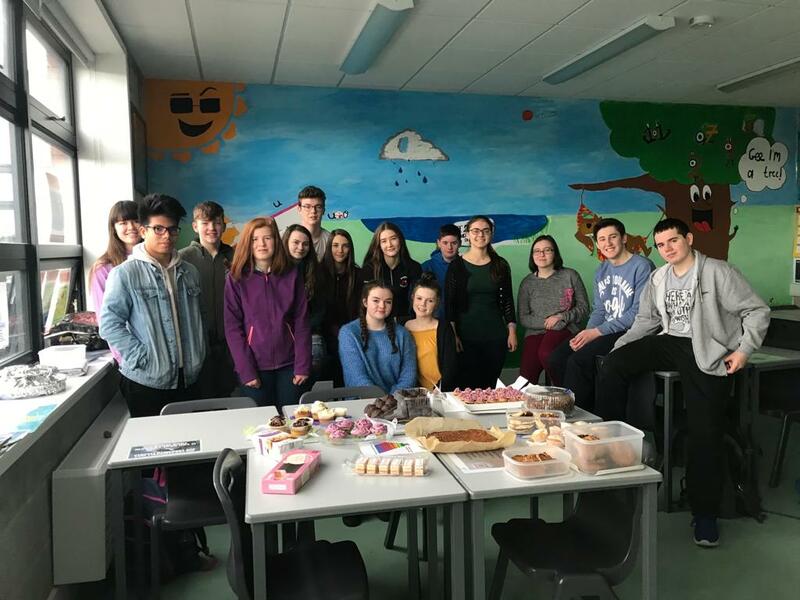 Leaving Cert and 4th year classes attended with their teachers. 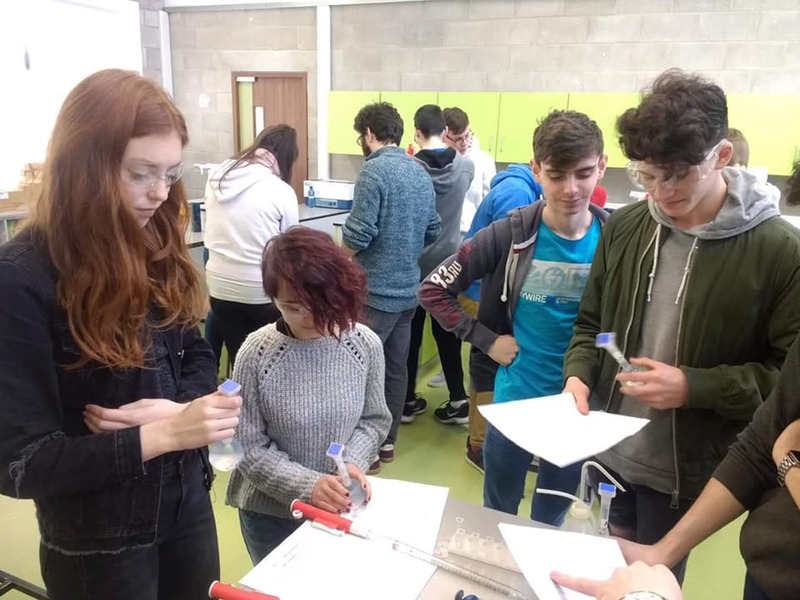 Our TY's went on an Ag Science trip yesterday to Pallaskenry to learn all about the Dairy industry and the courses they offer at Pallaskenry. 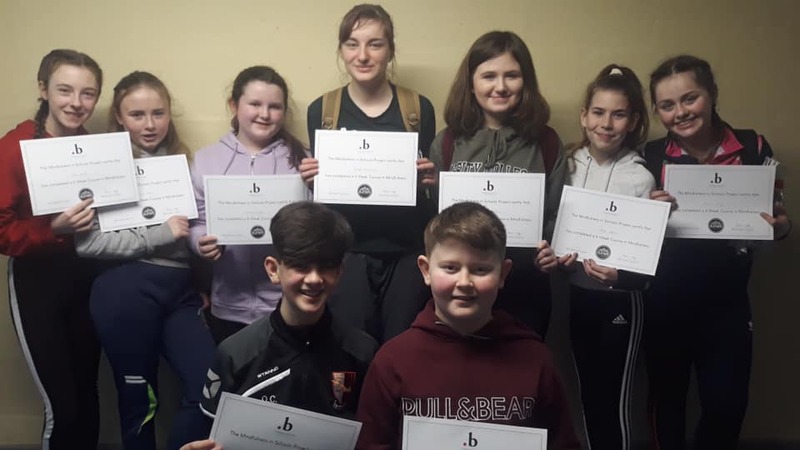 Our first years received their certificates for completing their recent Mindfulness Course. A very worthy and beneficial course for all involved. Well done to Jamie on his recent signing for Galway Utd. ​Congratulations to John, Joshua and Carlo who have all been selected to be part of the Clare under 17 basketball team. Well done lads! We are running the Design a National Book Token competition again this year. There are lots of prizes up for grabs so call in to the library and chat to Jackie if you want to enter! 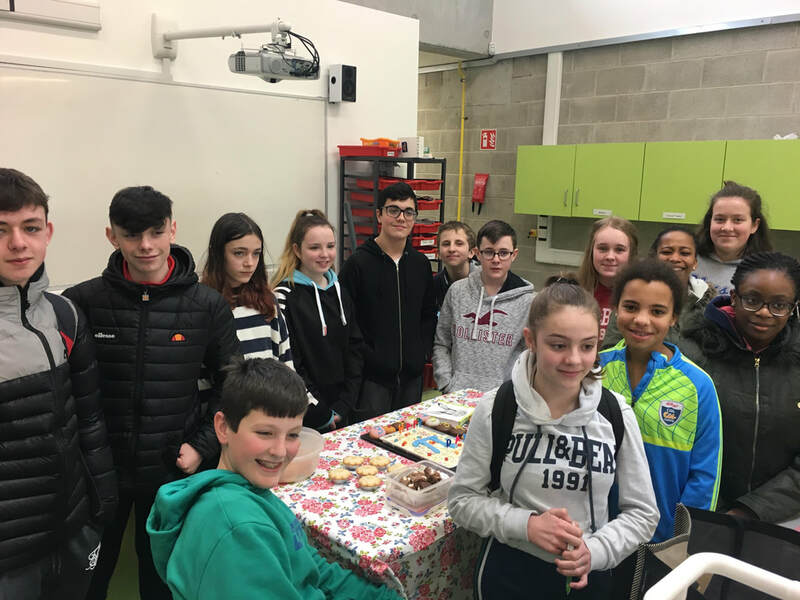 Our fantastic LCA1 students held a Valentine's Day themed bake sale. 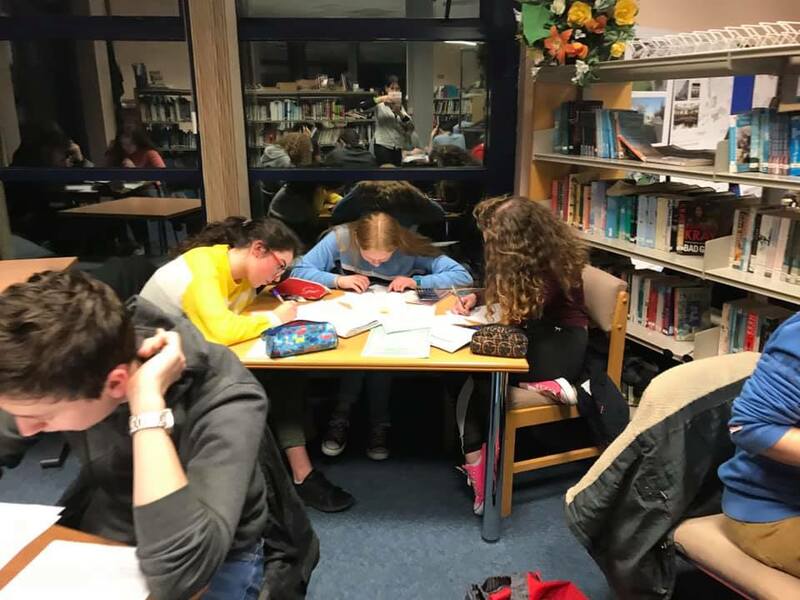 They've been very busy over the last few weeks organising the event as part of their mini company for English and VPG. There were some delicious treats and the event was a great success. 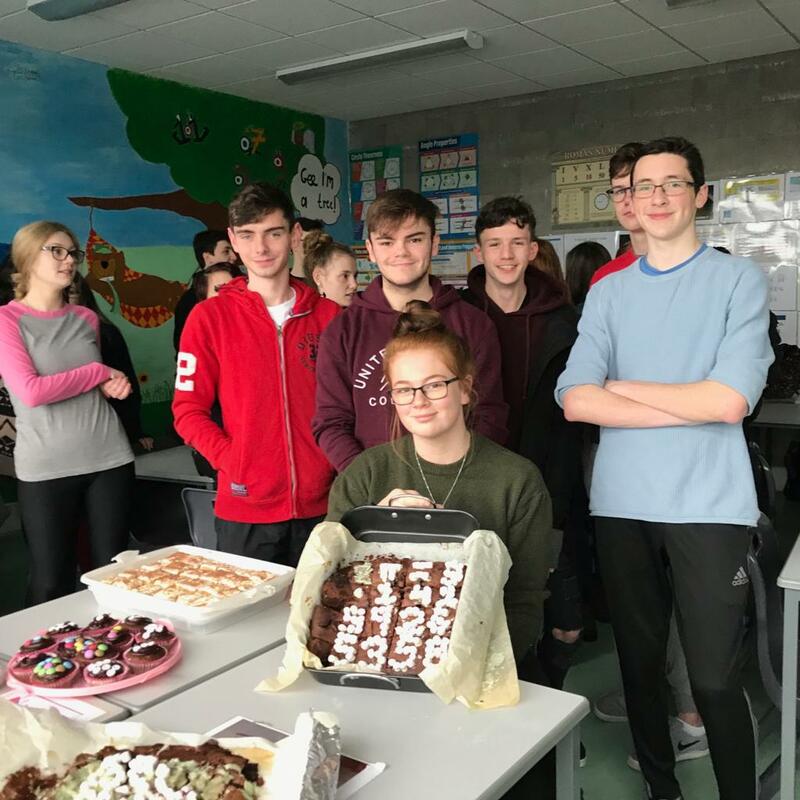 The students are donating all proceeds from the bake sale to Pieta House. Well done to all involved. Well done and congratulations to Blake and Charlie on signing up with Limerick FC. Blake will be with the under 19s and Charlie with the under 15s. We’re all very proud of you lads! Our TYs were in UL yesterday taking part in the regional wheelchair basketball finals. 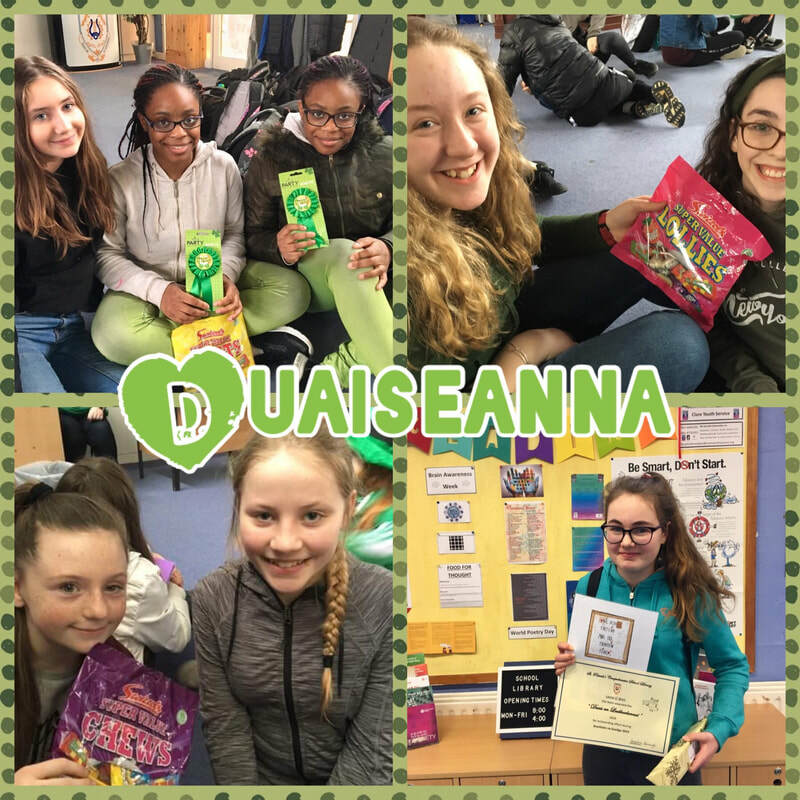 Our students got to take part in this competition because of their fundraising efforts for the Irish Wheelchair Association. It was a fantastic day spent learning a very skilful sport. Well done to all. “Believe in yourself and be the best you can be”. That was the message of leading women in the field of engineering at the ‘I Wish’ Conference in Cork yesterday. 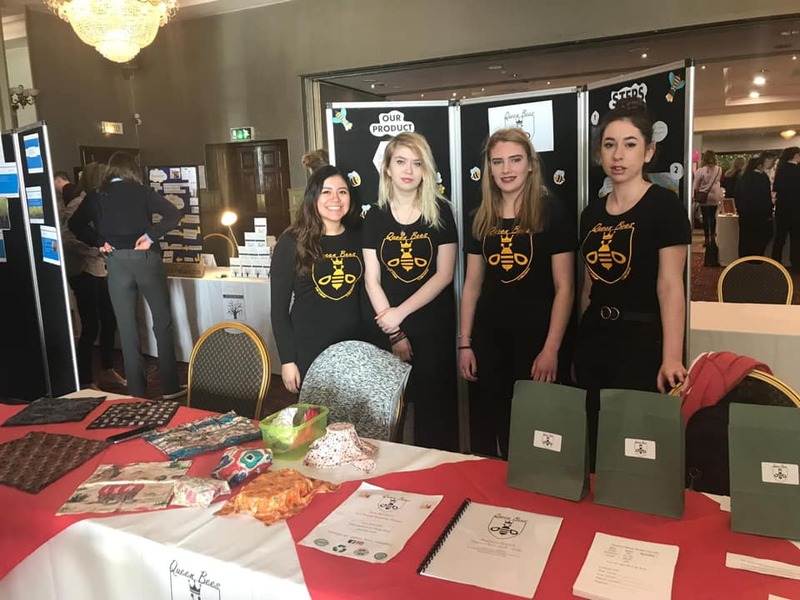 29 girls from TY and 4th year went to Cork early yesterday morning for this STEM showcase in City Hall. 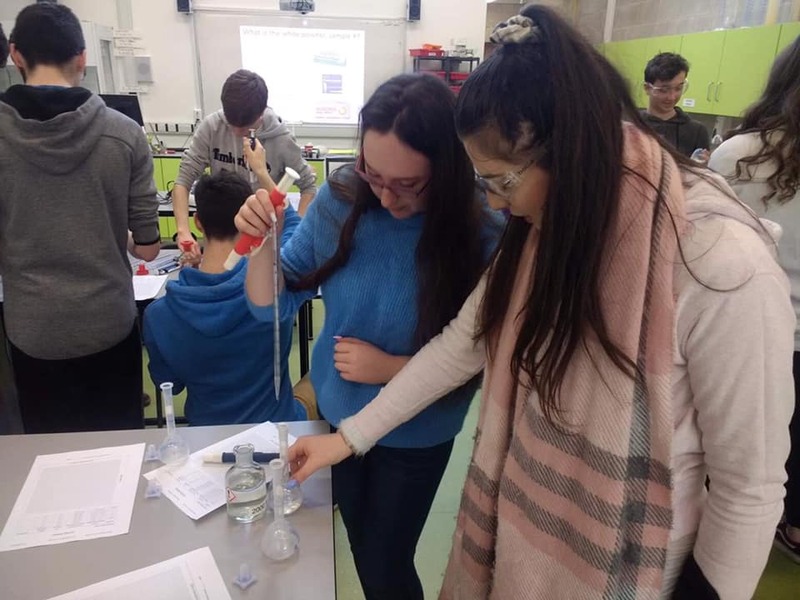 ‘I Wish’ will meet over 12,000 girls over four days in both Cork and Dublin who wish to pursue engineering related careers. Students who attended felt the showcase opened their eyes to careers they never knew about. Students also got to meet leading engineers from VM Ware, Stryker and Johnson & Johnson. 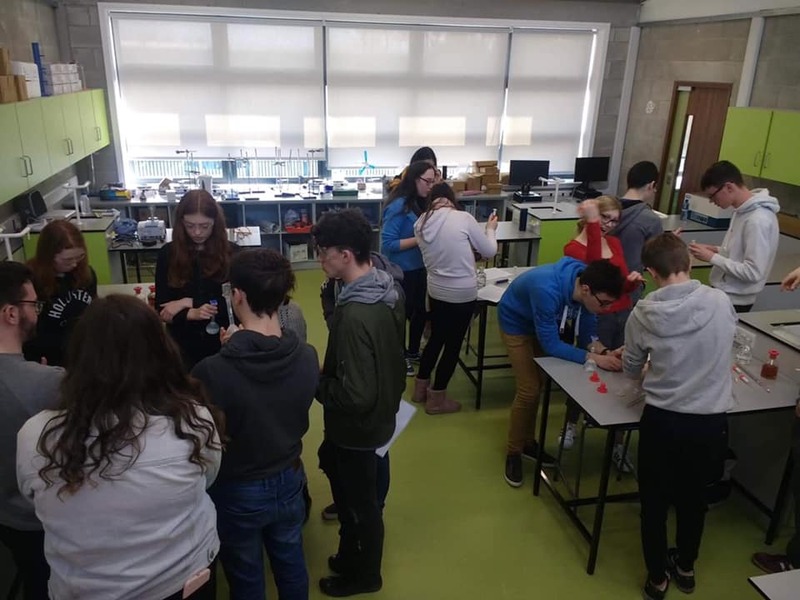 Also back this year will be Design & Engineering Week running in school from March 4th - 8th. Full details of events will be announced next week. P.E at The Comp goes digital! Some of our Leaving Cert PE (LCPE) class with the iPads which are used in the course. 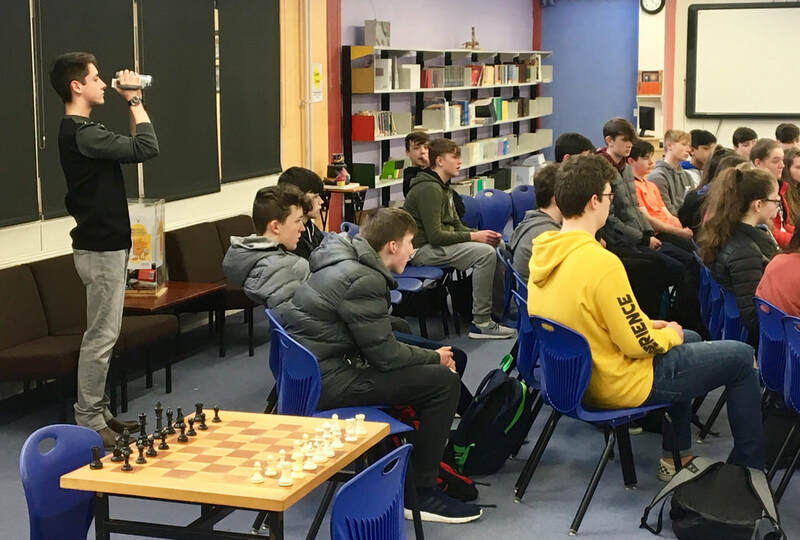 This new leaving cert option subject puts a big emphasis on the use of digital technology in physical activity and sport. We are so proud to be in the first wave of this new course! Did you attend The Comp? If so, then we’d love to hear from you! We are trying to get in touch with past pupils both near and far! We want to see what you have done since leaving us and your thoughts on your time in The Comp now that you have moved on. Please get in touch by filling out the survey below. We can’t wait to hear from you all! Feel free to share. 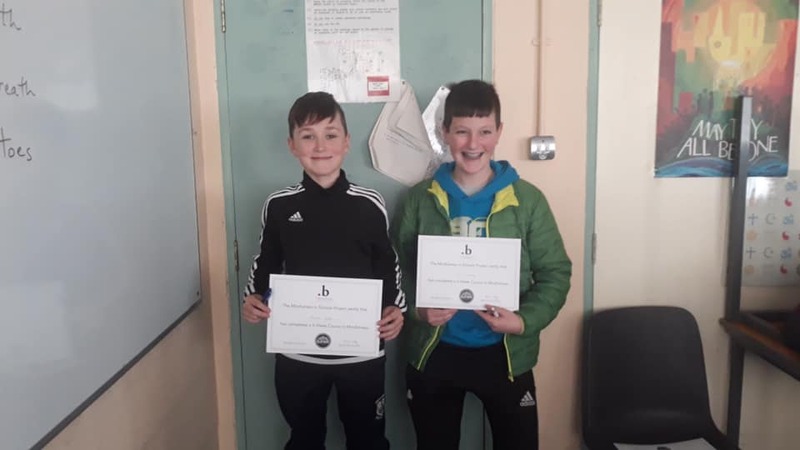 Well done to Darragh and Eoin on their appearance on The Late Late Show on Friday. Some of our students visited Carrigoran to give out St. Brigid crosses and play some music for the residents. It was a lovely thought by all involved. 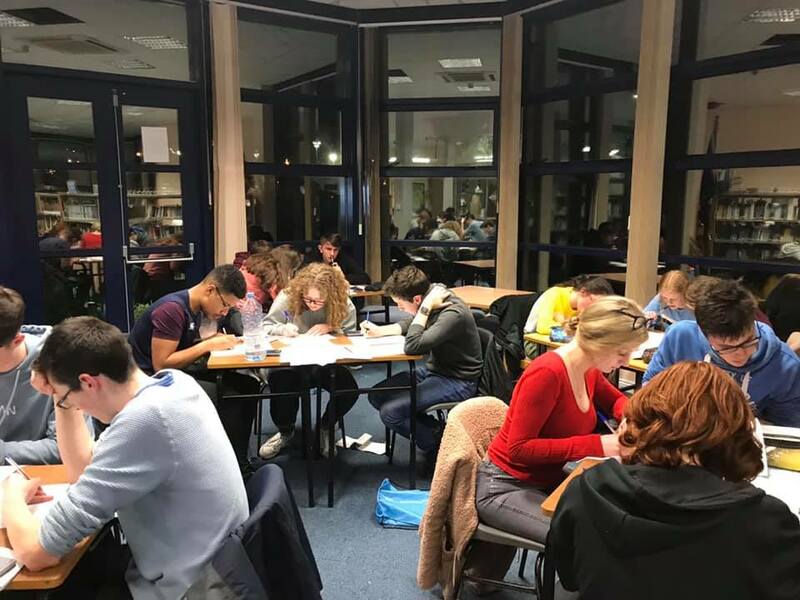 February 1st (5.15pm): Closing date for normal applications to the CAO, for entry to all first-year undergraduate courses. 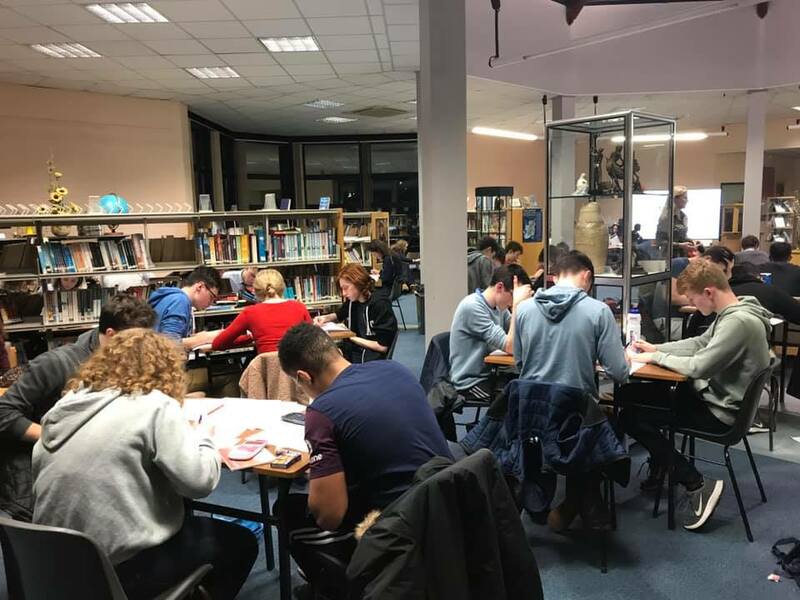 People applying for restricted application courses (those with early assessments such as interviews or portfolio assessment) must list any such course on their CAO application by this date. February 5th: Online facility to amend course choices becomes available for a late fee of €10 until March 1st. Some of our 4th & 5th year students took part in a drama workshop today that is based on the Sraith Pictúir for the Irish oral. They were given lots of tips and advice on doing the Irish oral. 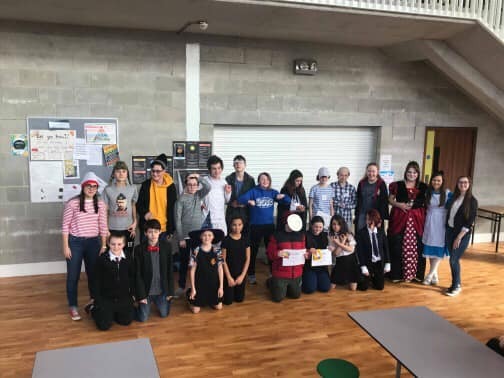 Teachers and students really enjoyed the drama.Ghlac grúpa daltaí ón 4ú agus an 5ú bliana páirt i gCeardlann Dramaíochta inniu sa leabharlann. Bhain na daltaí agus múinteoirí an-taitneamh as an seó ó Caith Amach É. Go raibh míle maith agaibh.